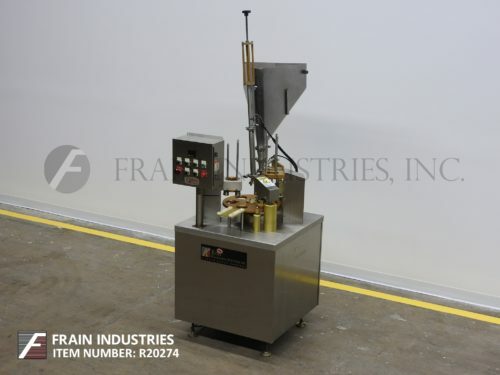 World Cup, Model 8-80, automatic, 8-pocket, intermittent motion, stainless steel, rotary cup filler, roll stock film heat sealer and over-lidder with number of cups per minute – depending on materials, application and machine configuration. Fill range: up to 80 oz. Container range: up to 6.5" OD. 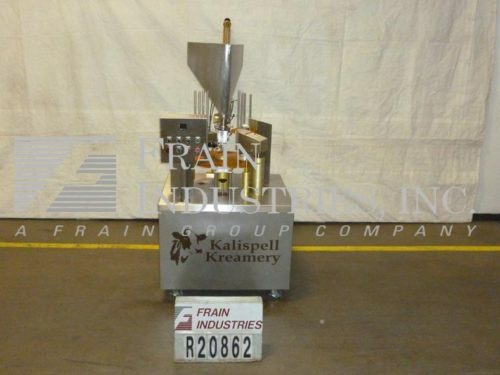 Equipped with 30" rotary table, cup magazine with suction cup denester, roll-stock film heat sealing station, 40" roller lid magazine, lid applicator and pneumatic reject. Mounted on height adjustable frame with interlock safety guarding. Change parts required to accommodate different size ranges.